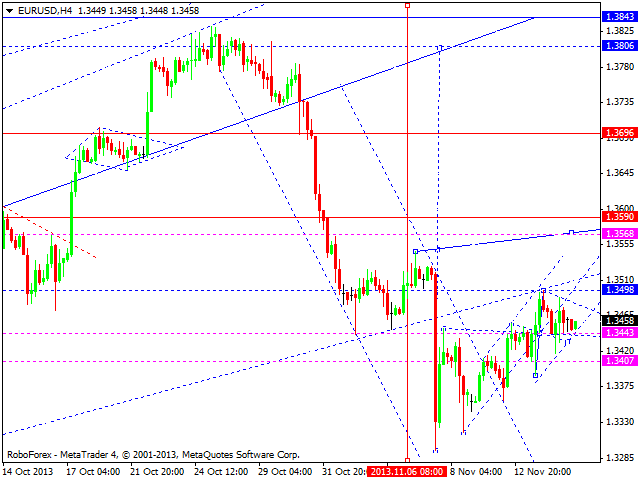 Euro is forming consolidation pattern near 1.3440. We think, today price may continue growing up to reach target at 1.3568 and then start forming the fourth structure to return to 1.3440. Later, in our opinion, pair may complete this first ascending wave by forming new ascending structure and reaching target at 1.3590. Pound completed this ascending wave. 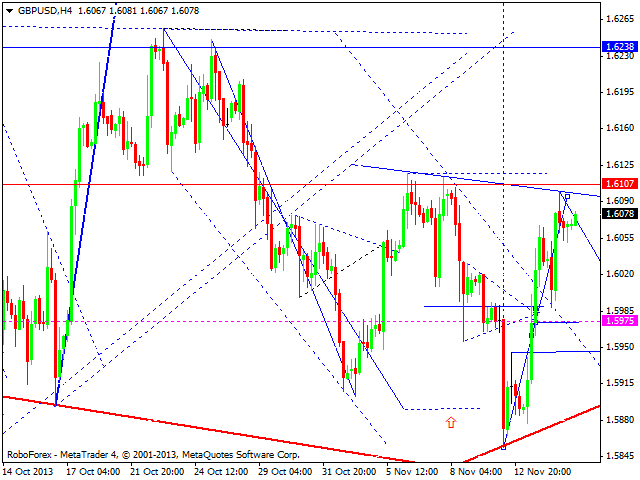 We think, today price may start correction towards 1.5975 and then form another ascending wave to break maximums. This whole movement may be considered as head & shoulders reversal pattern. 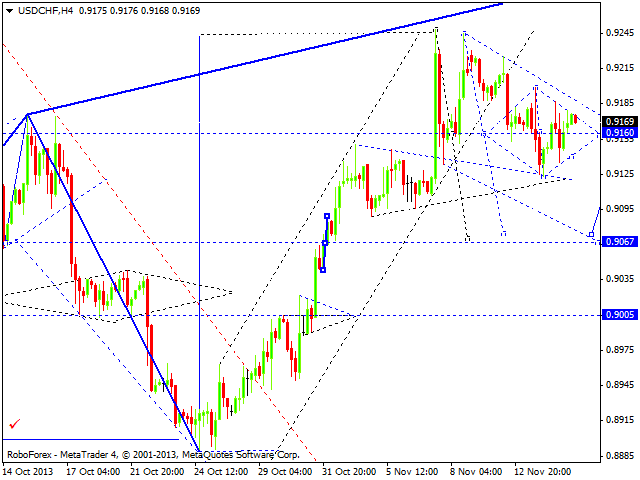 Franc continues forming consolidation channel in order to continue falling down; target is at 0.9075. Later, in our opinion, pair may return to 0.9160. Yen is still forming ascending structure. 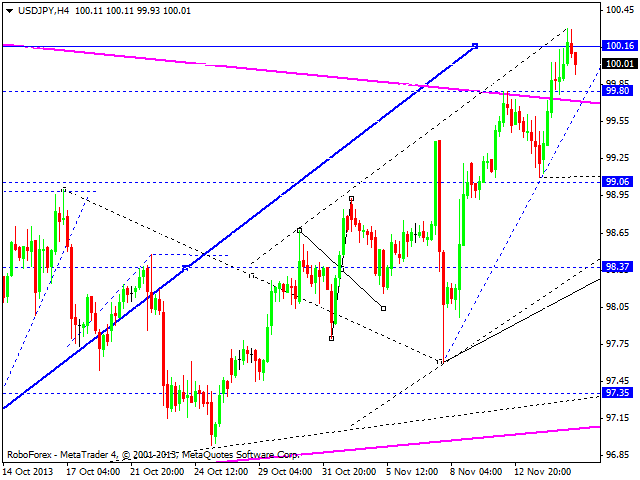 We think, today price may fall down towards 99.60 and then from start ascending movement to reach 100.50. Later, in our opinion, pair may start more serious correction towards 98.00. 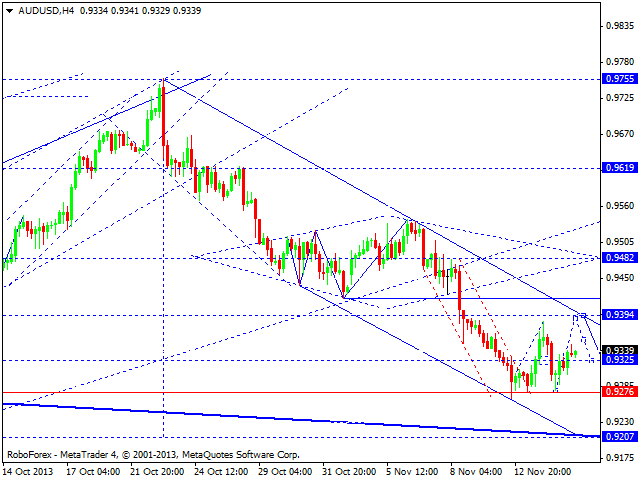 Australian Dollar continues moving towards target at 0.9210. We think, today price may form another ascending structure to reach 0.9390 and then start new descending movement towards above-mentioned target. Later, in our opinion, pair may start new correction towards 0.9480. Gold is still consolidating near 1284. 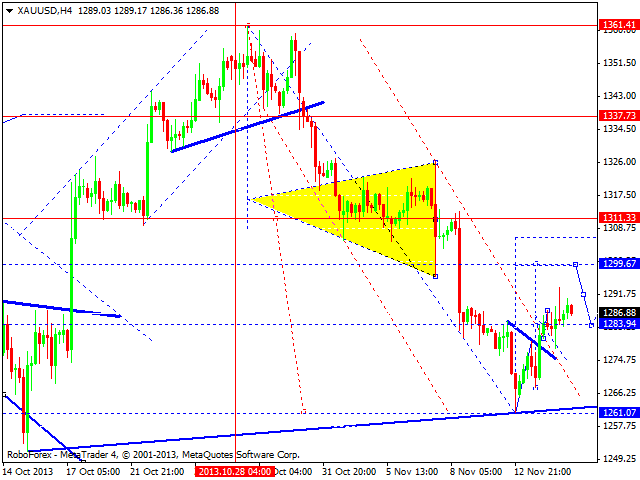 We think, today price may start ascending structure to reach 1300 and then return to 1284.